Profile Response – Housalla ElMoussa, Dearborn, MI | How Will We Live Tomorrow? 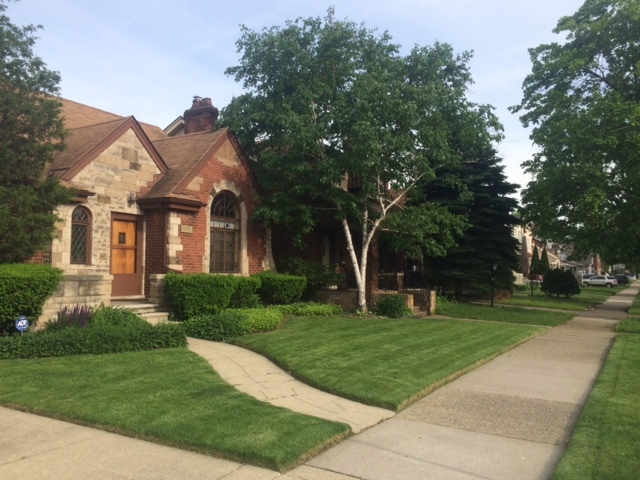 Cycling into Dearborn, MI on a late spring afternoon is like riding into the opening credits of a John Hughes movie: rows of solid houses with trim lawns and mature trees, parents sitting on their front porches, children playing ball in the yard and riding their bicycles along the wide sidewalks. It’s a bucolic vision of security and harmony; the epitome of the American dream. Except for one detail: white people populate John Hughes’ movies, while Northeast Dearborn is almost 100% Arab Muslim. The children playing soccer are dark, the women carrying bags from the local grocer all wear hijab. I wind my way along the streets until I find my friend Bob Basse standing in his front yard, chatting with his brother Bill and their Muslim neighbor. “Hello, call me Bob.” Housalla lets go of the handlebar of the child’s bike he’s straddling to shake hands. Bob’s a staff nurse at a children’s hospital. His wife teaches second grade, although this year she’s home with their newest child, so he’s picking up extra shifts. 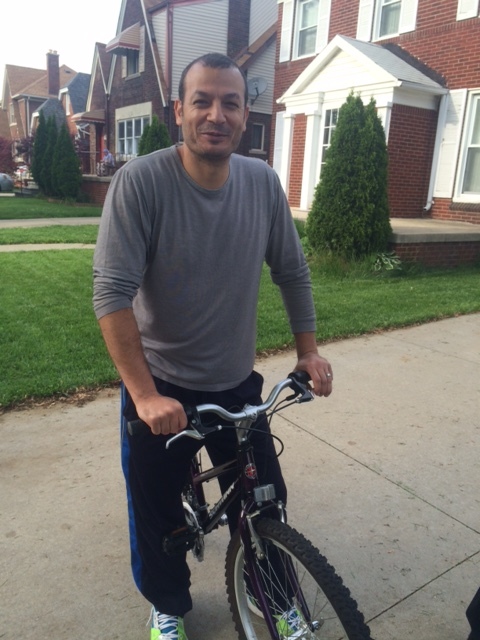 He came to Dearborn from Lebanon in 1989, and somewhere along the line the name ‘Bob’ stuck, but I’ll call him Housalla since there’s another Bob in this story as well. Housalla lives a few doors away from Bob Basse’s family home. Their father bought the two-family house on Middlepointe Street in 1951; he worked for Ford, whose headquarters are in Dearborn. Bob’s father died there in 1995, his mother died last year. Now the Basse children, scattered to distant Detroit suburbs and Colorado, are liquidating their family home. Housalla’s brother lives across the street, where Housalla lived during nursing school. His brother helped with the down payment for Housalla’s own house in 2000. Now, they also each own an investment property on the street. At this point in the conversation I am perplexed by the recurrent theme that so many people in the United States believe they are getting a raw deal. It is one sensibility that cuts across race, class, economic strata, and ethnic origin. It’s not a positive unifying characteristic, yet it is consistent. Housalla’s description of rising up the immigrant ladder mirrors perfectly the evolution that Malcolm Gladwell chronicles of New York Jews in Outliers. First generation immigrants are laborers, second generation are merchants, third generation professionals. Gladwell goes on to show how fourth and fifth generation immigrants, fully assimilated, lose much of their immigrant drive. Will that be the case with Arab immigrants in Dearborn as well? Bill and Bob explain that there are only three houses left on the street that belong to ‘original’, i.e. non-Muslim owners. When the Basses are ready to sell their family home, they won’t list it with a realtor; there will be a variety of families right on the block that will want to buy it, for their extended family or as an investment. Bill says, “Our mom made friends with all of our Arab neighbors. “I was raised that we can walk to the church and the mosque. I tell you ISIS has nothing to do with Islam, any more than the Ku Klux Klan has to do with Christianity. 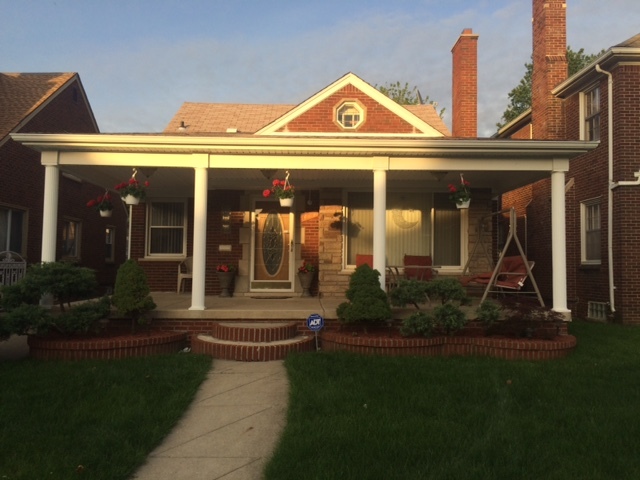 This entry was posted in Responses and tagged Arab Americans, Dearborn MI, John Hughes, Lebanese immigrants, Muslim. Bookmark the permalink.